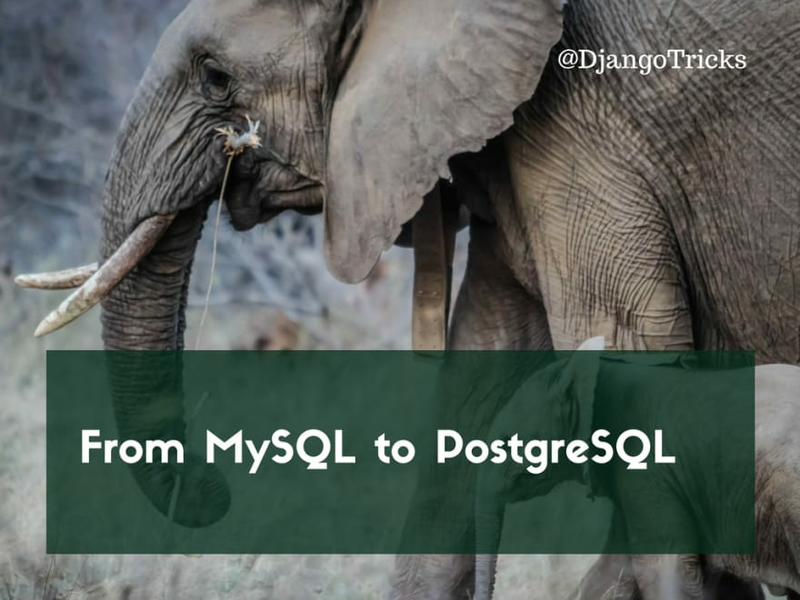 In this article I will guide you through the steps I had to take to migrate Django projects from MySQL to PostgreSQL. MySQL database has proven to be a good start for small and medium scale projects. It is known and used widely and has good documentation. Also there are great clients for easy management, like phpMyAdmin (web), HeidiSQL (windows), or Sequel Pro (macOS). However, in my professional life there were unfortunate moments, when databases from different projects crashed because of large queries or file system errors. Also I had database integrity errors which appeared in the MySQL databases throughout years because of different bugs at the application level. When one thinks about scaling a project, they have to choose something more suitable. 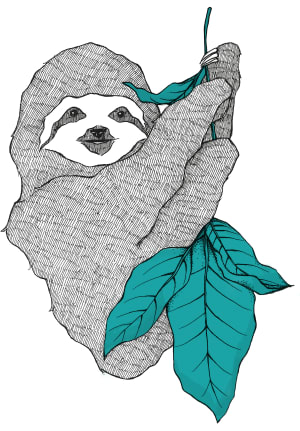 It should be something that is fast, reliable, and well supports ANSI standards of relational databases. Something that most top Django developers use. And the database of choice for most professionals happens to be PostgreSQL. PostgreSQL enables using several vendor-specific features that were not possible with MySQL, e.g. multidimensional arrays, JSON fields, key-value pair fields, special case-insensitive text fields, range fields, special indexes, full-text search, etc. For a newcomer, the best client that I know - pgAdmin (macOS, linux, windows) - might seem too complex at first, compared with MySQL clients, but as you have Django administration and handy ORM, you probably won't need to inspect the database in raw format too often. So what does it take to migrate from MySQL to PostgreSQL? We will do that in a few steps and we will be using pgloader to help us with data migration. I learned about this tool from Louise Grandjonc, who was giving a presentation about PostgreSQL query optimization at DjangoCon Europe 2017. One prerequisite for the migration are passing tests. You need to have functional tests to check if all pages are functioning correctly and unit tests to check at least the most critical or complex classes, methods, and functions. Then create a local copy of your production MySQL database. We are going to use it for the migration. Note that PostgreSQL will also be installed as a dependency. Unlike with MySQL, creating new database users and databases with PostgreSQL usually happen in the shell rather than in the database client. Let's create a user and database with the same name myproject. The --createdb parameter will enable privilege to create databases. The --password parameter will offer to enter a password. The --username parameter will set the owner of the created database. Here the custom get_secret() function returns sensitive information from environment variables or a text file that is not tracked under version control. Its implementation is up to you. Typically you will get a bunch of warnings about type conversions. These can probably be ignored, because the script will take its best guess how to convert data when importing. If in addition you get errors about duplicated data or tables with foreign keys to missing entries, you will need to fix the issues at MySQL database and then repeat the process. In that case, clean up the MySQL database, update your local copy, recreate PostgreSQL database with dropdb and createdb commands, run Django migrations to create the database schema, and copy the data again. When the database is successfully migrated, we should run Django project tests and fix all PostgreSQL-specific problems in the project's code. The code running Django ORM will run smoothly, but very likely there will be issues with raw SQL, QuerySet's extra() method, and type conversions. String values in PostgreSQL queries are always quoted with 'single quotes'. PostgreSQL doesn't convert types when comparing values automatically as MySQL does. If you use any raw SQL, you will need to do some casting before comparison like CAST(blog_post.id AS text) = likes_like.object_id or blog_post.id::text = likes_like.object_id. The latter double-colon syntax is not understood by MySQL, so if you want to support both databases, you will need to write vendor-specific cases for each database management system. PostgreSQL is case-sensitive for string comparisons, so in the QuerySet filters you will need to use * __iexact lookup instead *__ exact and * __icontains lookup instead of *__ contains. 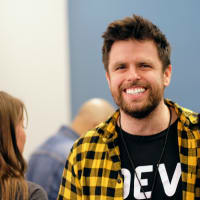 When you are sure that the migration process is fluent and all Django tests pass, you can take your production website down, repeat the migration process locally with the latest production data, copy the migrated local database to production server, update the production code, install new dependencies, and take the website back online. I might probably miss some points and there are some ways to automate the upgrade process for production, but you got the idea. PostgreSQL is more restrictive than MySQL, but it provides greater performance, more stability, and better compliance with standards. In addition, in PostgreSQL there is a bunch of features that were not available in MySQL. If you are lucky, you can switch your project from MySQL to PostgreSQL in one day.